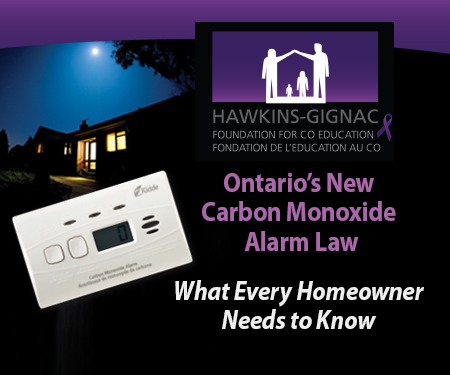 Ontario’s New CO Alarm Law Named in Honour of Family Who Died Tragically of CO Poisoning With the passage of Ontario’s new CO law – The Hawkins-Gignac Act – the Searchmont Community Volunteer Fire Department is relieved, knowing that the citizens of Searchmont are now much less likely to experience the types of tragedy that can result from exposure to ‘The Silent Killer’. In 2008 John Gignac lost his niece Laurie, her husband Richard and their children Cassie and Jordan to carbon monoxide poisoning. The vent leading from their gas fireplace was clogged so the deadly gas seeped back into their home. They didn’t know they were in danger because CO gas is colorless, odorless and tasteless. And they did not have a carbon monoxide alarm. But something good has come from something so tragic. This new law makes carbon monoxide alarms mandatory in all homes that have a risk of carbon monoxide. Now, no matter the age of a home, if it has oil, propane or gas burning appliances, furnace or water heater, a wood or gas fireplace, or an attached garage it must have working carbon monoxide alarms installed near sleeping areas. Also, CO alarms are required by law to be replaced within the timeframe indicated in the manufacturer’s instructions and/or on the label on the unit. Protect your family. Install a CO alarm today. Two helpful websites to visit for more information are www.endthesilence.ca and www.safeathome.ca. It’s Fire Prevention Week—help us sound the alarm that working smoke alarms save lives. Did you know that many people don’t test their smoke alarms as often as they should? When there is a fire, smoke spreads fast. You need working smoke alarms to give you time to get out. Test yours every month! After the untimely loss of our previous tanker truck in April, the SCVFD went through an extensive search for a suitable replacement. This August we put into service a new vehicle. This 2001 Tanker Truck was imported from the USA with low mileage and in great condition. We look forward to many years of solid performance for our community with this tanker. 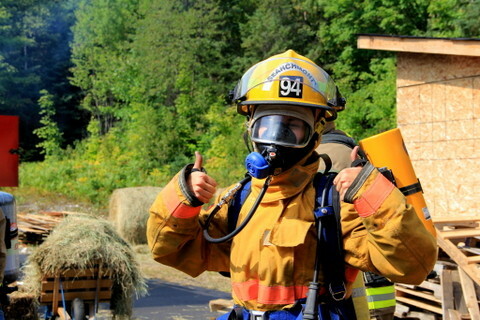 It's time for Fire Prevention Week, and from October 6-12 the Searchmont Community Volunteer Fire Department is joining forces with the nonprofit National Fire Protection Association (NFPA) to remind local residents to ‘Prevent Kitchen Fires.' During this year's fire safety campaign, fire departments will be spreading the word about the dangers of kitchen fires--most of which result from unattended cooking—and teaching local residents how to prevent kitchen fires from starting in the first place. "Often when we're called to a fire that started in the kitchen, the residents tell us that they only left the kitchen for a few minutes," said (Your name, title). "Sadly, that's all it takes for a dangerous fire to start. 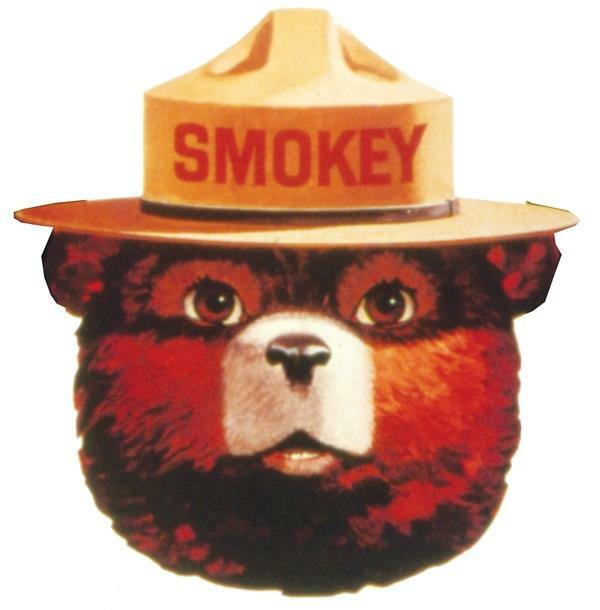 We hope that Fire Prevention Week will help us reach folks in the community before they've suffered a damaging lesson." 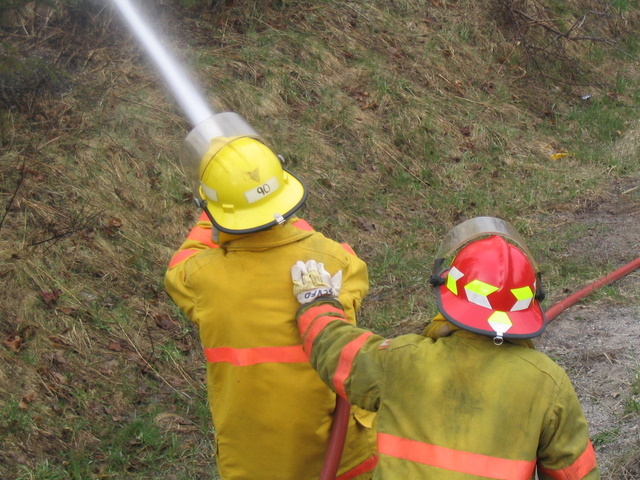 Fire Prevention Week is actively supported by fire departments across the country. Fire Prevention Week is the longest running public health and safety observance on record. The best way to avoid injury from a fire is to know what to do if one happens! Staying calm and following the family Fire Safety Plan is the best way to prevent injury. Stress to children that panicking or trying to hide from the fire is not the right way to escape safely. Creating your family’s Fire Safety Plan should be a family affair, with everyone pitching in, contributing ideas and asking questions. In this way, children especially feel a sense of control. Your family’s Fire Safety Plan should include a full understanding of the fire safety equipment in your home, including smoke and CO alarms, your fire escape route including two ways out of every room if possible, meeting place, and the local emergency and Fire Department contact information. 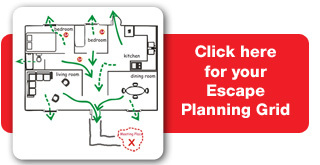 When fire strikes, having an escape plan can reduce panic and confusion and help save lives. Visit the Safe At Home website for more information. 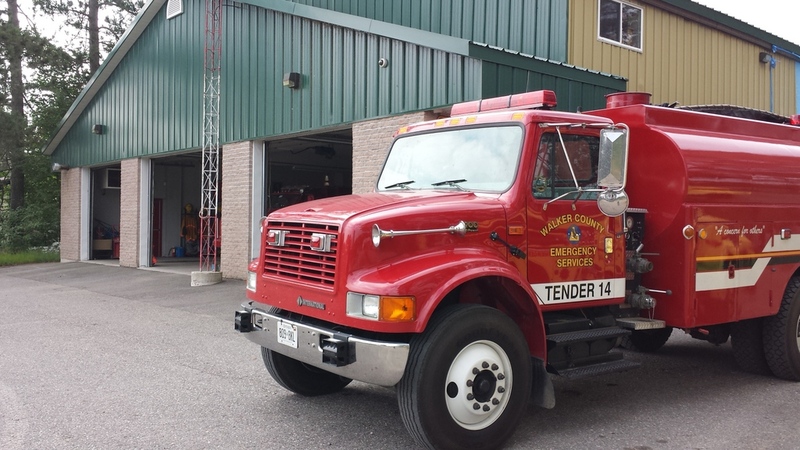 The Ontario Fire Marshall and the Ontario Fire College recently completed a Modular A Fire Fighter Training course which was hosted locally by Aweres Fire Department. With temperatures in the live fire building reaching as high as 1300 degrees, cars fires and the entanglement obstacle there was never a dull moment. Many thanks to our local new volunteers who dedicated four days worth of effort to complete the course! Flood conditions - The Sault Ste. Marie district of the Ministry of Natural Resources (MNR) is advising residents that localized flooding is occurring throughout the area. 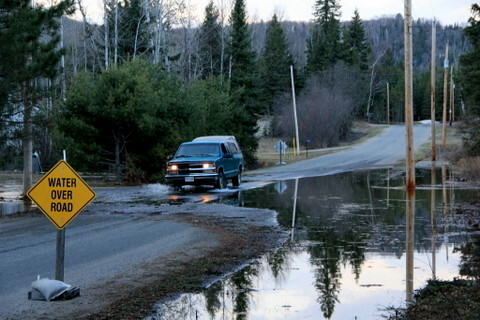 Some residential flooding has already occurred on the Goulais River. It is expected that more localized flooding will occur with the increasing water levels. This trend will continue until the snow pack melts. Witrey Road and Heli/Maki Road are closed. Residents are advised that there is water on or across the following roads: Olar Subdivision Road, Island Road, Friendly Lane, Bye Side Road, Whitman Dam Road, and Bellevue Valley Road. River levels on the Goulais have climbed steadily since last Saturday, and MNR expects levels to continue to climb as the weekend progresses. Flow speeds continue to be high and caution should be used around the river. Daytime air temperatures will remain above seasonal over the next several days, which will affect river levels. Snow melt will increase the chances of additional localized flooding due to increased flow. There is still snow in the watershed north of Searchmont. Residents along the Goulais River should monitor conditions closely. MNR continues to monitor river conditions and sensors. This bulletin will be updated as conditions warrant. Residents wishing to get updates on changing river conditions can contact MNR at (705) 949-1231. In the event of an emergency caused by flooding, residents should call 911 if they require assistance. 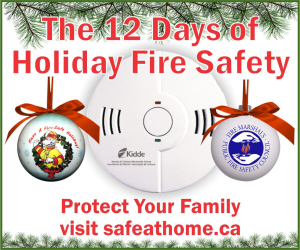 The The Fire Marshal’s Public Fire Safety Council, Fire Departments and Council partner, Kidde Canada are mounting an Ontario-wide grass-roots campaign to make this the most Fire Safe December ever. Check out all 12 safety tips here or visit SafeAtHome.ca . 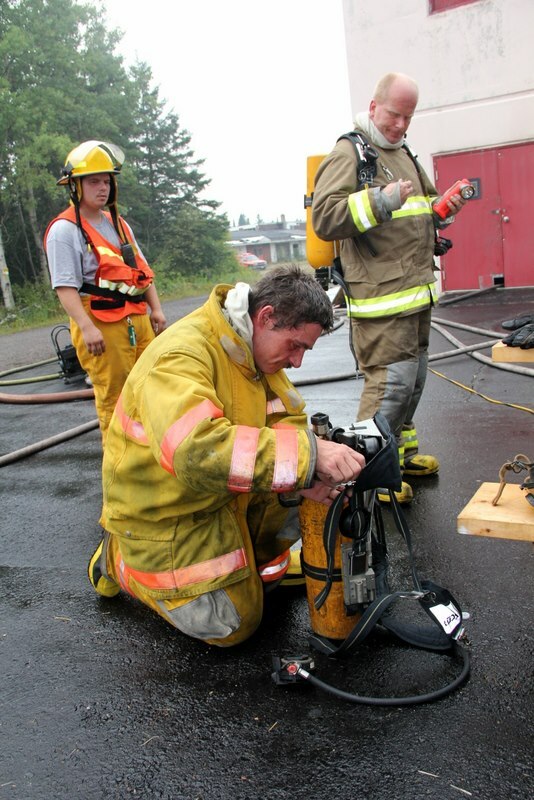 The Ontario Fire Marshall and the Ontario Fire College recently completed a Modular A Fire Fighter Training course which was hosted locally by Aweres Fire Department. With temperatures in the live fire building reaching as high as 1300 degrees, cars fires and the entanglement obstacle there was never a dull moment. It was definitely a rewarding and valuable experience. Many thanks to all the instructors, organizers and also to all the volunteers that helped make it go so well. Smokey was a real black bear found clinging to a tree following a forest fire in the spring of 1950 by a crew of American army soldiers (who were helping fight the fire). His hind legs and paws had been burned severely from the fire so they nicknamed the bear “Smokey”. After Smokey’s injuries were successfully treated he lived out the rest of his life at the National Zoo in Washington D.C. The Restricted Fire Zone Order is used only when conditions are so dry that an open fire of any kind, no matter how well tended, would represent a threat to the surrounding area. 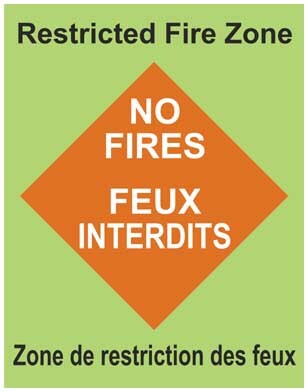 The decision to declare a Restricted Fire Zone is not made arbitrarily by any one person. It is the result of investigation, discussion and agreement on the severity of conditions by fire management staff and the Minister of Natural Resources. It’s a temporary measure reserved for extreme situations, and as soon as conditions permit, the restrictions are lifted. 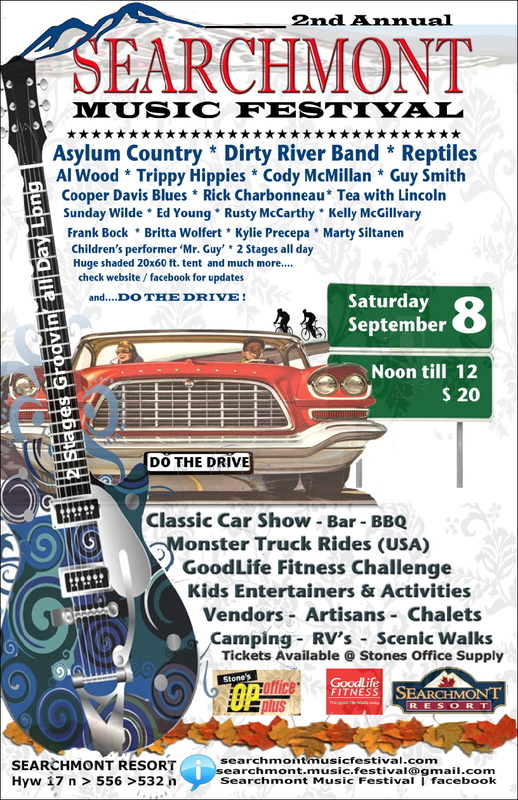 Come join us for our yearly celebration in Searchmont. Always a hit. 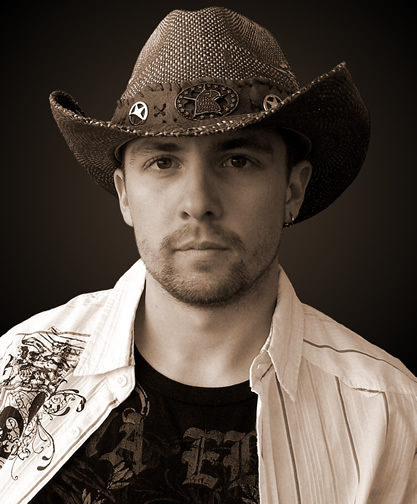 Craft Sale, Arm Wrestling, Timber Sports, Bar, Food Sales, Music and the Parade! Starts at 11:00 and runs into the evening. The firehouse will also be open to the public. The Ministry of Natural Resources wishes to advise the public that a Restricted Fire Zone previously in place for the Northeast Region is now lifted. Campfires are now allowed for cooking and warmth, but must be tended to at all times. Keep your campfires small and make sure they are completely extinguished before leaving. Remember to avoid burning in windy conditions, as fire can quickly spread. The public is reminded to take extreme caution, as a high hazard still remains specifically in the areas of Sault Ste. Marie, Sudbury, North Bay and south of the French River. Tickets on sale now! Get them while they're hot only 100 to be sold!